I’ve been doing this self-publishing thing for over six years and I have read a ton of marketing books, and I’ve also researched and studied author promotion extensively, so I think a lot of it is “trial and error” with marketing. Some things worked for me and others haven’t. You need to find your own niche and go from there. But a few universal truths to success is to publish new books within a 4 month time-frame, and get lots of reviews posted on Amazon and goodreads, and have a professional-looking book cover (also branding), and lastly an engaging “hook” in your book blurb. All those things are easy to do to help your book beat out the competition. 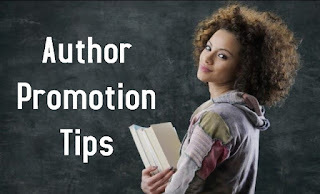 From my own personal experience, those tips listed below will help any author to start making money and have some success with your book promotion. Doing the following things listed below helped many of my books become Amazon bestsellers. The right book cover is critical and having a striking image at thumbnail size is important. A sub-title with keywords can help drive sales, too. This is just my opinion, but maybe updating your book covers, revising your blurbs with more of a “hook,” and adding more keywords in KDP might really help boost sales. The other authors that I have helped do these simple things said they doubled their sales within 6 weeks. I want to help you, so I can offer you one free cover design if you really want to test out a new cover. Please click HERE to browse my selection of premade covers. On your author Facebook page, marketing studies have proven that posting an image or photo along with EVERY post will get you more “likes” and interest. Make sure your FB page is linked to your Twitter account, too so you can cross-promote on both of these sites. Join kboards, like right now. Go hang out in the “Writer’s Café” and search through the marketing posts until your eyes bleed. (Well, maybe stop before that.) http://www.kboards.com/index.php?board=60.0 There is a wealth of awesome book promotion advice on what works and what doesn’t. Plus, quite a few very generous, bestselling indie authors offer tons of great suggestions on a wide range of marketing topics. Sign up for BUCK BOOKS: http://buckbooks.net/buck-books-promotions it is free and reaches a large email readership. In order to run a promotion with them, you don't have to pay anything, but you do have to agree to tell others about their service by either sending out a tweet or FB post and signing up for their affiliate account. A lot of authors have had success with BOOK GORILLA: http://www.bookgorilla.com/advertise which costs $40 a promotion. 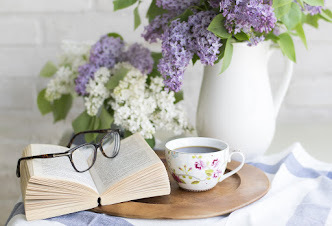 Book bloggers should become your best friends. Start creating a list of bloggers that will host a guest post or review your book(s). But it helps if a writer already has a few reviews posted on places like Amazon and goodreads, which will really help to persuade them to take a chance on an indie author. You will need a professional letter to request reviews. When you finish writing an email “review request letter,” please send it to me and I’ll double-check it before you send it out. I know for a fact that my books have been bumped up a number of times on a reviewer's TBR pile, because reviewers assumed that my book would be as professional as my review request. They'll start reading with the right impression. And check out Blog Nation, Book Blogger Directory, The Book BloggerList, and BookLook Bloggers to find active bloggers who are seeking indie work. Each site has its own review policy. Use a spreadsheet to keep track of each blogger’s name, email, and website URL. And I would make sure to carefully follow the blogger’s instructions. You must send your request in individual emails and use their names. You might consider collecting all the emails and sending out a giant blast, but this is considered spam. The only way to comply with the federal CAN-SPAM Act is to send your request one email at a time. Authors usually need more reviews posted on Amazon and goodreads to gain exposure. At least ten reviews on Amazon will help because “two digits” seem to be a magic number and anything less might hurt potential sales. When I chat with other authors about obtaining reviews, it seems as though most writers struggle to get over twenty and have no idea how to get more posted. To start, I suggest using Fiverr to get a few reviews posted straightaway, because you do get honest reviews and they will post them within a week. I know other authors who have done it and they’ve had great results. I’m not against paid book reviews nor do I consider it unethical. The paid reviews are honest and they will eventually be lost among the real ones that get posted with all those new sales you'll get. Many authors are willing to pay hundreds of dollars for a Kirkus Review, but cringe at $5 for a regular one, which makes no sense. Kirkus Reviews charges $425.00 for their basic review package. Only buy 10 reviews at a time for any book. Don’t ask for a positive review or tell them what to write. Make it clear to the person you hire that you want a normal, honest review. Don’t buy hundreds of them, but promoting a book (even to promotional sites like Bookbub that require a certain number of reviews be posted before they’ll accept your work) is much harder if you start with zero reviews on Amazon or goodreads. Doing little blasts about your promos or free books can boost sales. 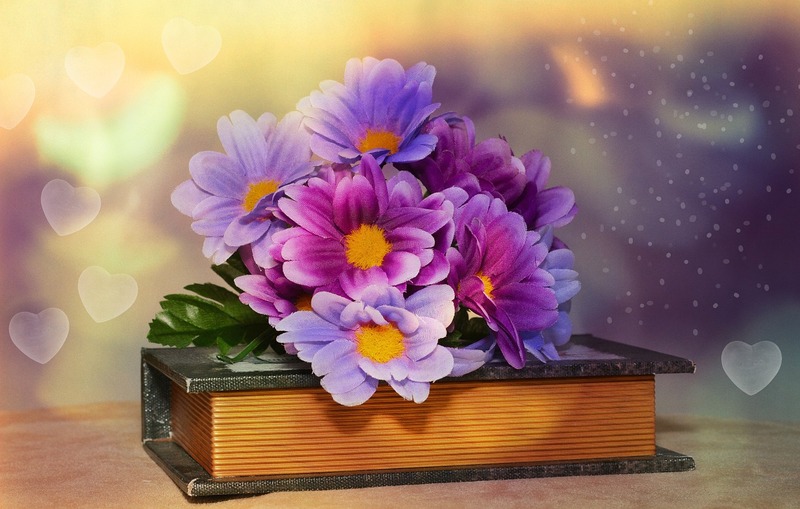 You could post a few chapters on wattpad to entice readers to try your books with a request at the end of each chapter or placed at the end of the free sample to read the rest of the book. Wattpad is a community of more than 35 million users who are writing, reading, and sharing stories — all for free. Want to share a short story that’s tangential to your novel? Or tempt readers with an excerpt from your upcoming book? This might be the platform for you. Put links to your books EVERYWHERE on your blog and/or website to make it easy for readers to buy your novel(s). Again, book bloggers can be helpful in promoting your work because they genuinely love reading and think of authors as rockstars. Having a guest post to offer can often boost sales or create interest in your books. The problem is that bloggers are flooded with requests, and since there are about 4,000 books published daily, the system is overloaded. And readers generally don’t always review the books that they read. Easy! Put together at least five guest posts on topics related to the book that you’re promoting and offer those in place of a review if the blogger is unavailable to review your work. Include your cover, the blurb, and links to buy the book at the end of each post, along with your Bio and social media links. If you have more than one book, then I suggest that you make one a “loss-leader” by making it either $0.99 or perma free. This will give new readers a chance to read your work and you’ll gain some new fans. List one of your books with these sites whenever it’s free. Though some of them have minimum review requirements, meaning you have to a minimum number of 4+ star reviews. These Facebook groups can be helpful in a book promotion or if you're giving away a free book. When you’re Tweeting about your books, be sure to use these hashtags. Use and choose your keywords carefully. Writers can also stuff additional keywords into your product description that Amazon’s search engine will pick up on through Author Central. Your book product page is not the place to ramble about nonsense, or talk about how cute your dog is, or whine about your book sales. This is a business. Impressions count. Use Author Central to promote your work through positive, strong keywords. Just like your book, words matter. The goal is not to confuse readers, but get them to buy your book. Study the product pages of bestselling authors. Some newer authors don’t understand the importance of keywords. These can help you reach a much wider audience. You can stuff over fifty keywords into KDP and other online retailers to get your book into more genre categories.